I love it! You did such a great job! 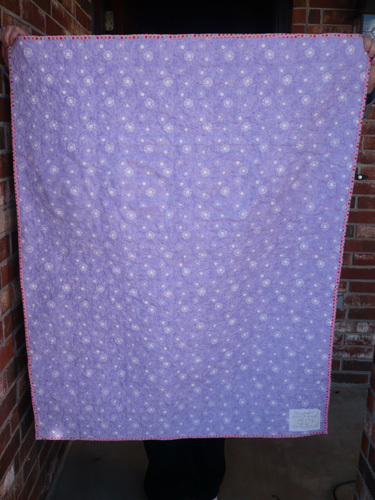 It’s beautiful and a perfect baby quilt! I love the raw edge applique! It gives it so much texture and I think little fingers will love that! Now I’m off to check out those patterns! 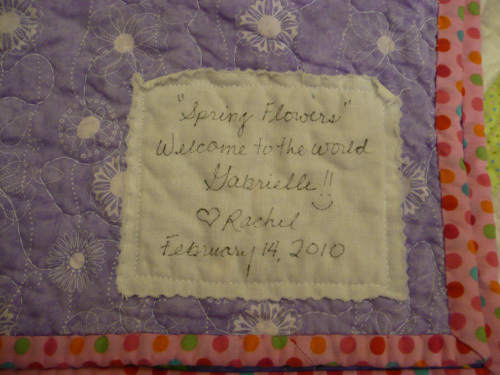 Thanks for the info..what a fabulous quilt! Just looked at the pattern and I like your mods better than the pattern. 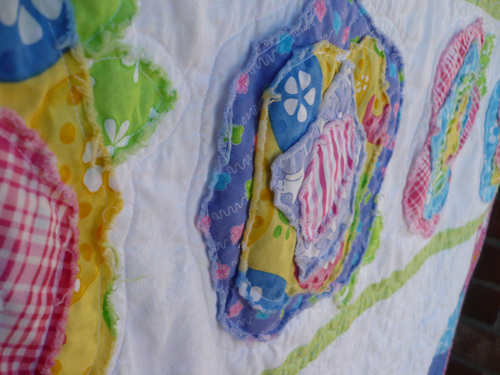 I’ve never done a quilt w/ applique (other than the raw edge applique, which I also LOVE) so looking at that pattern it’s a little intimidating! 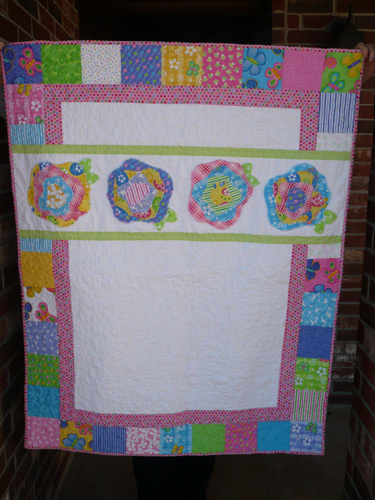 It’s pretty and quilts with applique are beautiful, but I don’t think I could do it. I really love how you did the flowers! I know (but have not done) needle turned applique. I have done raw edge applique. I have only recently heard of soft edge applique. Do you know where can I find a simple definition? John, soft edge applique is quite simple. 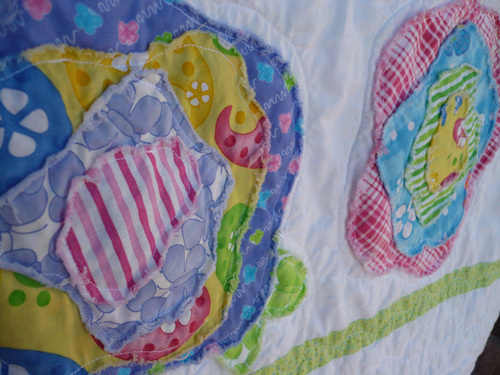 Place your applique piece on top of the fabric and simply stitch 1/4 inch around the applique piece. 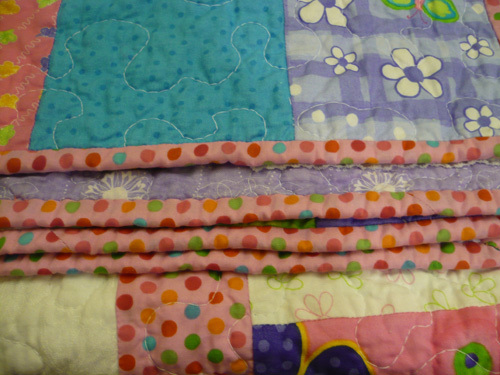 Once you wash your quilt the edges will fray and get soft. You just need to clip any long threads. It’s so easy and so cozy!